For the record, I’m ‘fessing up right now. I have no idea if either the Moscow Mule or the White Russian have anything to do with Russia whatsoever (aside from the vodka), but I don’t care. 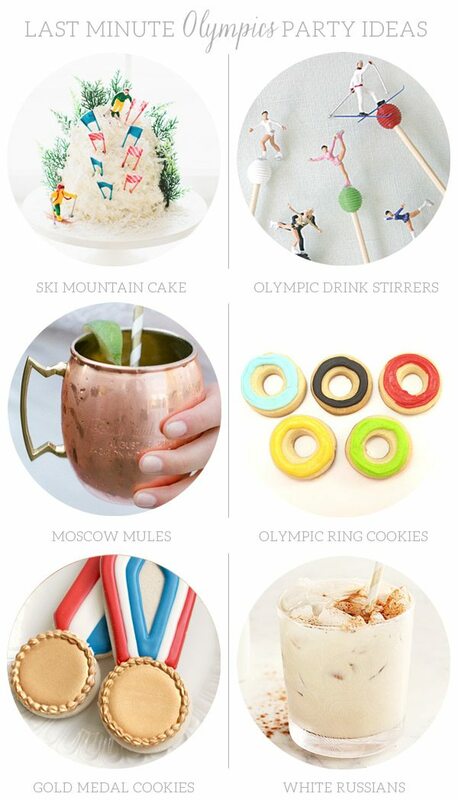 Because I’m cheeky like that and I still think they make the perfect cocktails for an Olympics party. Paired with cookies and cake, of course. So many pretty things in Lauren’s new shop – I want one of everything! Little babes dressed as fairy birds. Just. Yeah. XOXOs all up on a hot pink clutch? Yes, please. Don’t miss my January Favorites! There’s lots of them. I so love Italian sodas – let’s all make our own, ok?